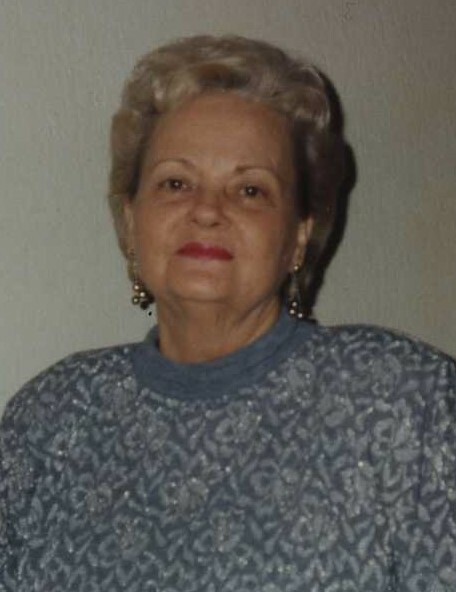 Jimmie Reynolds, 86, of League City, Texas, passed away on April 7, 2019, with her family by her side. Jimmie was born in Vivian, Louisiana, to Orbin and Myrtie Lawrence on March 14, 1933. She is preceded in death by her parents, brother, Glenn Lawrence, sister Tina McCaskey, sister Jean Callaway and brother-in-law, Westley Callaway. Jimmie is survived by her husband of 55 years, David Reynolds; daughter, Debbie McGuire; sons, Michael Reynolds and Greg Reynolds; by her siblings…sister Irene Ware; brother, Wayne Lawrence and wife, Mary; and sister-in-law, Sandra Lawrence. Jimmie is also survived by three grandchildren; Aaron McGuire and wife Martha, Kristi Collins, and Karah Schmiedeberg, as well as ten great grandchildren and numerous other relatives. The family also gives a special thanks to Ashley Walker for Jimmie’s homecare assistance and support. Jimmie loved to travel and went on many Rocky Mountain ski vacations with the family over the years. She was a great cook and made the “World’s Best Seafood Gumbo”. In her later years she loved to keep the slot machines in Louisiana spinning. She enjoyed taking bus day trips to the casinos to test her luck– which was plentiful. She was a wonderful wife, mother, grandmother, sister, aunt and friend. She will be dearly missed. Visitation will be held on Wednesday, April 10, 2019, from 6:00 pm to 8:00 pm and services will be at 1:00 pm on Thursday, April 11, 2019, at Crowder Funeral Home, 851 FM 517 Rd West, Dickinson, Texas. I had the pleasure of knowing Jimmie through extended family since 1977. She was a kind, funny, and regal lady. You will be missed greatly and wishing you peace at home now as heaven has gained another Angel. Praying for all the family in this time of sorrow. We love and will always miss you Aunt Jimmie.